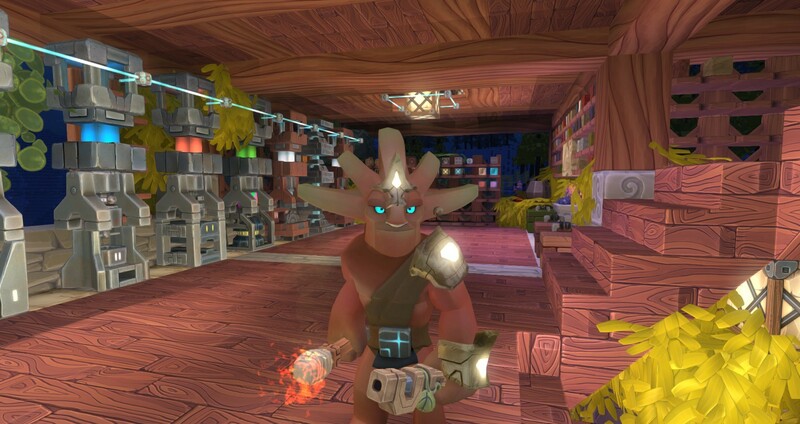 This week, we’ve brought down the servers for several hours to migrate the way the game is stored and to update the resource distribution throughout the Boundless universe. Now the game stores data more efficiently and the game will be much more scalable. Also, it should be a bit easier to find gold now although there are now many portals that are connecting all the worlds. The downside is that it is now much harder to find gems. The resource balance will continue to change in future releases. We have also implemented the underlying system for the Beacon Prestige and collective Settlement systems but they are not yet visible to the players as we have yet to complete the GUI. But they will be public soon. In the next couple of weeks we plan to have the following in the game. Updated Tutorial and Objectives including weekly objectives. New Objective and Achievement GUI screen to allow you to activate certain objectives. HUD and GUI updates for the Beacon Prestige and Settlement systems. Updated 1st person tools, weapon and held items animations. Character skill tree screen (stretch, maybe…). Lance support is on going. We’re refactoring sections of the animation system to allow for more interesting progression on tools and weapons. We’ve spent quite a lot of time on the major release this week, completing the features and addressing the issues around it. It was a major update with the backend world servers upgraded to use the database backend as well as the full world resource regeneration. Each world now stores it’s entities and chunks in a local database. Player information is ultimately stored in a single universe database. This will hopefully allow the game to continue to scale linearly. We are updating the first person animations in preparation for the lance work to begin integration. As part of this we fixed the glitches that can sometimes occur when using items. The GUI skinning continues working on a new tooltip system, held items and smart stacks. The Objective HUD is also being updated to support the new variations. The back end for objectives and tutorial also added daily and weekly objectives. Effects for impacts in mêlée have been added as well as the creature responses. You may now feel very guilty killing wildstock. The mêlée impacts still need to be updated to support client side prediction. The error message the user sees when there are network issues have been revamped to make it more obvious what the issue is. We completed the chunk caching for PlayStation 4. 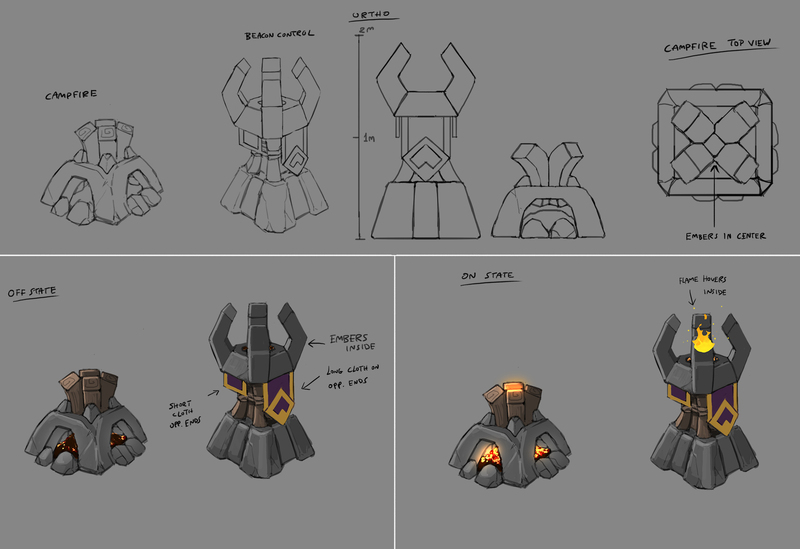 This week we updated you on two areas of design. Please contribute to the conversations. Ollie has also been working with Andy on getting the attributes hooked up and polished for damage, durability, speed and movement. There is a fair amount of behind the scenes work on this, but once it’s done it will enable the skills / progression to drop in and you can all make the characters that you want to make. He’s also been working with @dave and @gerryjacobs on weapon and tool animations and how they behave. Luke has also been working with Andy, getting the tutorial and objectives integrated, so that the beginning of the game and beyond will be really fun and challenging. He’s also been checking the resource balance with @lucadeltodecso and making sure it’s going in the right direction. As well as working with @OortSimon and Marc on getting the new GUI look in, Rob has been working on the crafting GUI, mainly to do with how the various fuels are used and communicated. 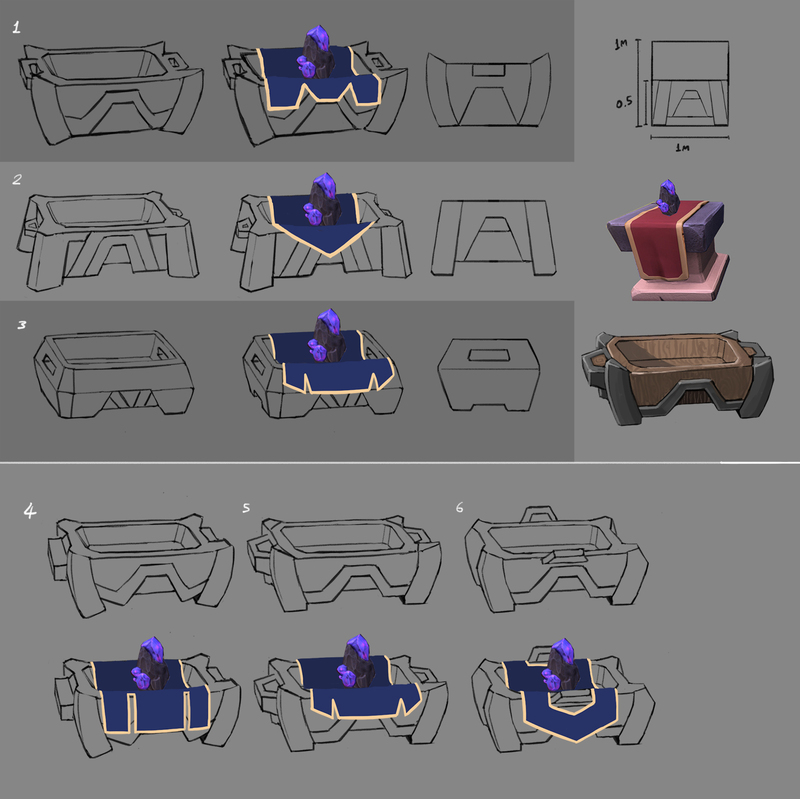 He’s also worked out improved GUI for beacons and the new campfire, as well as starting an audit on all the icons in the game with a particular view to getting graphics ready for the Skills and Skill Trees. 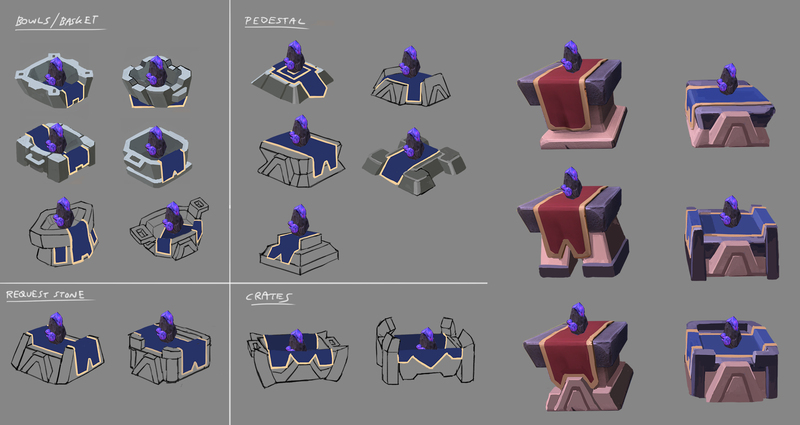 This week the art team have been busy across a wide range of areas of Boundless: campfire and beacon concepts, wildstock, creature tiers, items and also polishing the final 1st person tools and weapon animations. [image] [image] Hello FRIENDS. I don't believe we put up a beacon control and campfire concept post yet. Correct me if I'm wrong. Finally we're looking to change that ugly grey box placeholder that just says 'BEACON' on it to something fancy and that you'd actually like sitting around your plot. Campfires act as temporary beacons. [image] [image] We're looking to change the blue buying plinth to something distinctly different from the selling (red) plinth, so it'll be easier to tell them apart, and that they serve different functions. We're liking the crate options at the moment. Let us know your thoughts! Jess has completed the set of Wildstock models with all decals in place. When Michael has made some necessary changes to the character exporter we will use the Wildstock as our benchmark test for the creature tiers system. We’re working on hitting the screen position sweet spot for 1st person that celebrates each equipped weapon whilst providing necessary gameplay feedback (power level, ammo selected etc). We are also minimising camera distortion so that the proportions of our models aren’t deformed. To achieve this we have a separate in game camera for the tool and weapons with a fixed field of view of 65 degrees. Gerry has been polishing the final 1st person tools and weapon animations to address these goals so expect an update on this soon. 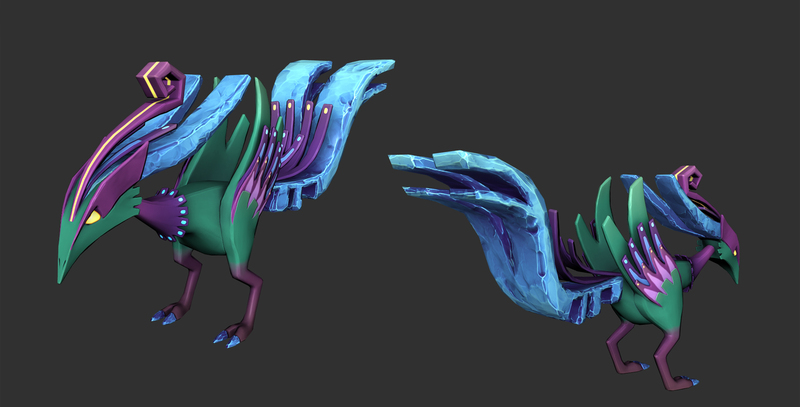 We’ve continued production on our items, props and creature tier assets. All are tintable. Items/Props - Blood, Plague, Petals, Bark, Bag of Bombs, Chair. As mentioned last week we’re continuing building a library of earth-like prefabs. I like how you mentioned us feeling guilty for killing wildstock. I for one will giddily continue mining their faces in for meat. I will simply turn down the SFX if it turns into a guilt trip. As long as PETA doesn’t decide to mock me, I can live with it. I’m just having a tough time sleeping. Once every few minutes I hear the loud screams of a Wildstock whining in pain. Man this game has came so far from the first time I heard about it when it was called Oort. The community and development interactions are awesome and I can’t wait for the PS4 version so I can travel the world’s and see people’s creations and meet some of you in game. I’ve been waiting ever since it was announced for PS4 to set foot in the boundless universe. I absolutely love the art style you guys use! Forgive me if that sounds like it’s coming form a inept artist, I am terribly inept with art, but can appreciate it! Will we be able to sit on chairs ? That would be so cool. Great dev update Thanks for that. I can say is that i’m really waiting for the beacon prestige update. 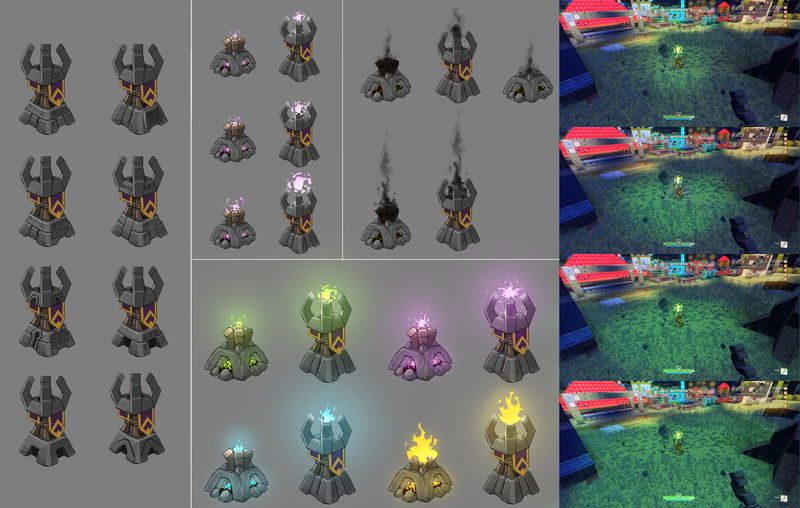 On the resource distribution I kinda like it, seems more natural that gems are super hard to find, it definitely needs some tweaking in the future though, I am walking past titanium and gold, and especially silver as there’s too much of it everywhere. My main concern with resources right now is finding iron on Therka - even as an “experienced” miner I’ve spent 4 hours now, lots of heights, lots of different biomes, caves, hills, up and down and I’ve found everything EXCEPT iron. I can’t imagine this would be a nice experience for new players for their copper and iron. I’ve heard Solum is pretty balanced in iron so I am not sure what went wrong with Therka seeing as how I imagine all the starter planets will be balanced at 1.0 to ensure a fair “portal” rush. At 1.0 we will only have our home planet so we can’t rely on just jumping across to a higher tier one to grab iron easily. I’m rather missing fossils. Haven’t searched much in different places though. But yeah. Fossils. What is the Plague? I know only one mean of the word “plague” - is a black death. But it isn’t the black death. What is it? I do believe it is a spoiler!